This is the perfect time to not only plan your gifts but also your home décor. There’s even some incentive for you with the discount code TBTSPECIAL10, which takes 10 percent off the cart for ALL items on our site including turkeys. 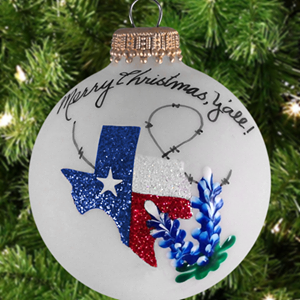 If you haven’t added a little Texas flair to your tree, our Texas By Texans vendor Pattilu creates beautiful, hand-painted Christmas ornaments on a hand-blown glass bulb with frost and silver pearl finishes. Each one of them is distinctive and depicts our Lone Star State in blues and reds — often flanked by bluebonnets. 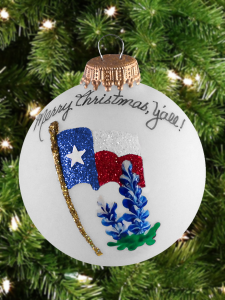 When it comes to Texas Christmas gift ideas, we’ve also got you covered. 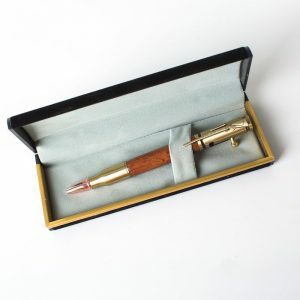 We have a number of elegant pens on our site along with the Texas Rollerball Twist Pen, which is a 24 kt gold, handmade reproduction of the 1920’s design. They come in five woods including one that is made from TCU Maplewood from the TCU Girls Basketball court floor. 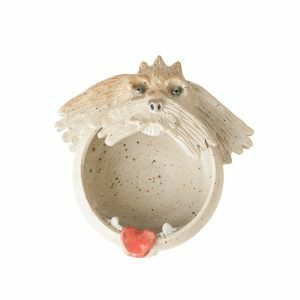 And finally, for that soup or cereal lover in your life, our vendor Dirt On Your Skirt constructs truly unique ceramic “Big Mouth Bowls” depicting everything from a dog to a pirate! Each bowl is handcrafted to be memorable and bring a smile to the table. 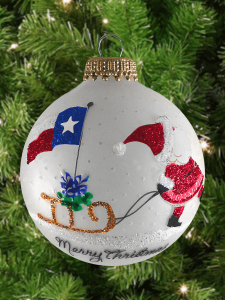 Keep checking back to our blog for more deals and Texas Christmas gift ideas as we are always adding new vendors to the site. You are sure to find just the right item for every gift or personal need. 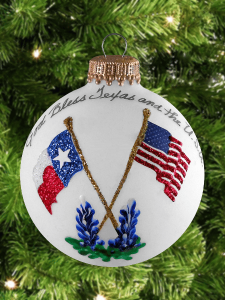 Texas by Texans sells only products made in Texas by Texan artisans and craftsmen. We offer Texas treasures of all types from food and clothing to home and yard décor. A portion of every purchase goes to support the Texas Work of Art Foundation,which promotes the advancement of art and music education in Texas schools. At Texas by Texans, we know that Texas is not just a place – it’s a state of mind!